We recently reviewed the 1stFone and now they have kindly offered to give one away to one of my readers along with one month's free airtime, all together worth up to almost £90. 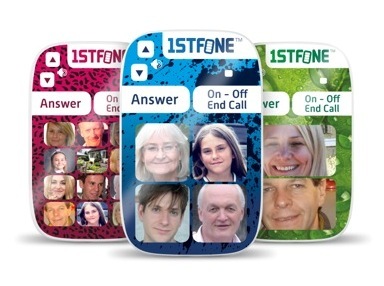 We think 1stFone's are great, and our review is here. 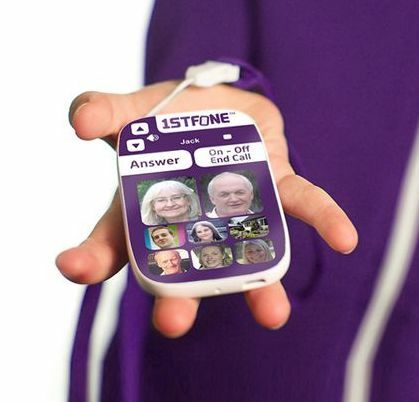 1stFone have recently introduced the 'Image Phone', which is even more accessible to very young children and also to anyone who is unable to use a standard mobile phone. It still only takes moments to create your own design and upload your chosen images. It arrives ready to use and pre-programmed with the telephone numbers of your choosing and your accompanying photographs, so that all the user needs to do is press the correct button and it will ring the person shown. For your chance to win your very own 1stFone your choosing and a month of free airtime please enter using the Rafflecopter form below. UK entrants only please. The prize is a 1stFone your choosing and a month of free airtime - after which you can choose from any of these Payment Plans. The prize will be supplied by 1stFone directly. Once the competition ends the winner will be selected randomly from all entries by Rafflecopter. The winner will be informed by e-mail within 48 hours. If the winner does not respond within 5 days then I reserve the right to instruct Rafflecopter to choose another winner.If the winner does not fulfil the entry then I reserve the right to choose another (e.g if you enter by following on Twitter, but have unfollowed before the end of the competition). The competition will close at midnight on Wednesday 28th August 2013. Purple flag :) Such a fabulous idea! Image buttons with a blue flag background and a 999 button. I would have a plain red one. The blue splat, I think its a fun design.